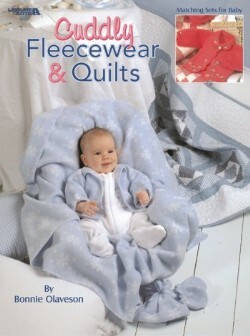 This sweet booklet contains patterns to make a patchwork quilt and fleece jacket for a baby girl, or to fashion a patchwork quilt, a fleece jacket, and snuggly hat for a baby boy. Both patterns are so sweet and cuddly for baby! Softcover 28-page booklet.